Hello everyone! 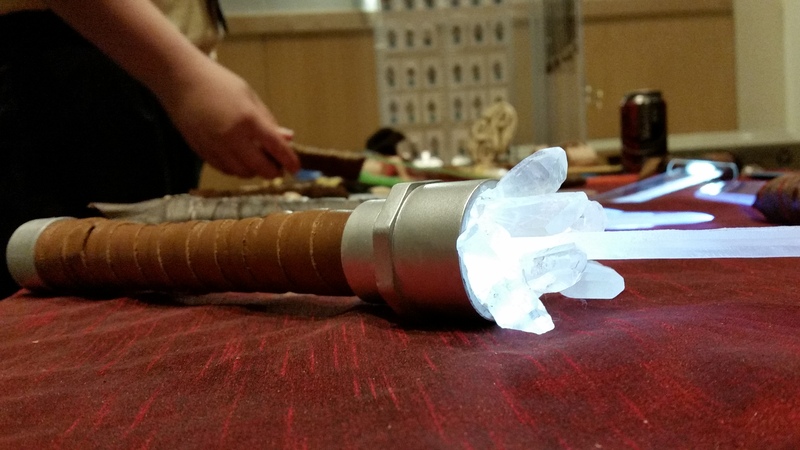 Nathaniel and I have returned from Madicon, and have to say we had a blast. It was our first time doing this convention, but it won’t be our last. Madicon is a small convention on the campus of James Madison University. As a small college convention, it is not one with a lot of attendees and major guests. But the overall friendliness of students, staff, and other vendors alike more than made up for any lack from size. 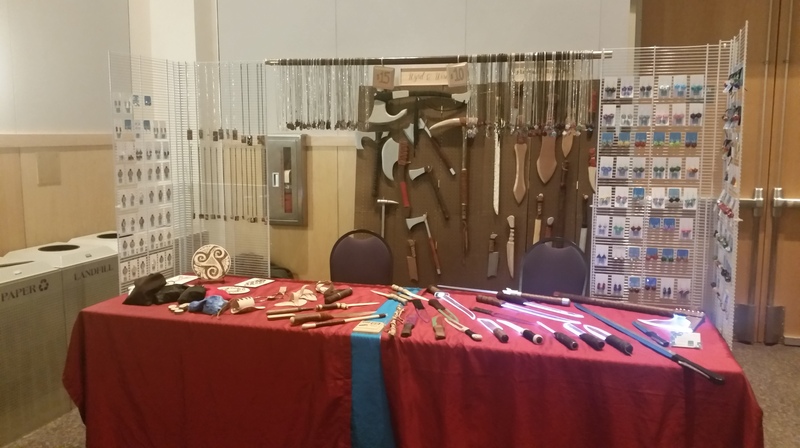 Our shared booth at Madicon 2015. We had to experiment a bit when we had more space than expected – definitely the direction you want a surprise to go! 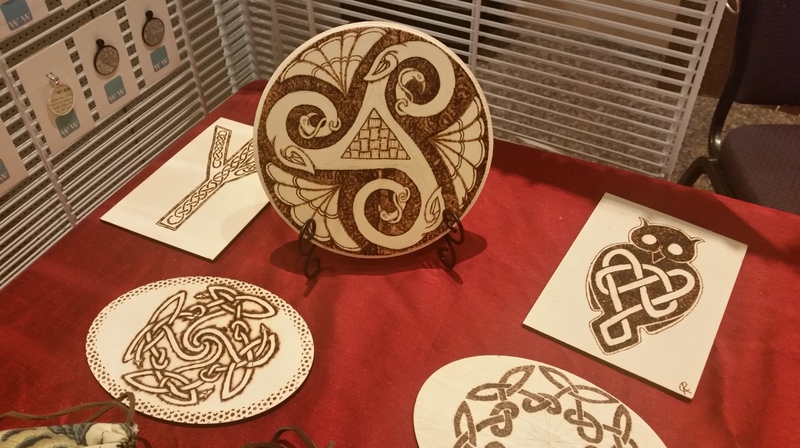 I completed the center piece the night before the convention. Wood, heat, and a lot of patience. 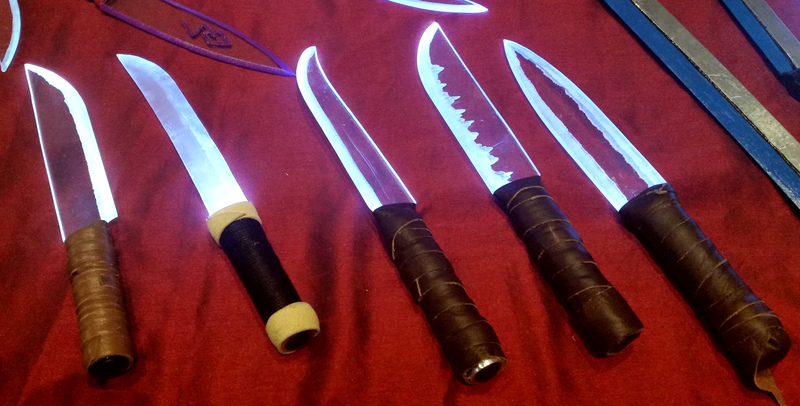 Nathaniel’s light up blades were a huge hit at their first event. …so much so that this one was completed at the convention, and sold the next day! 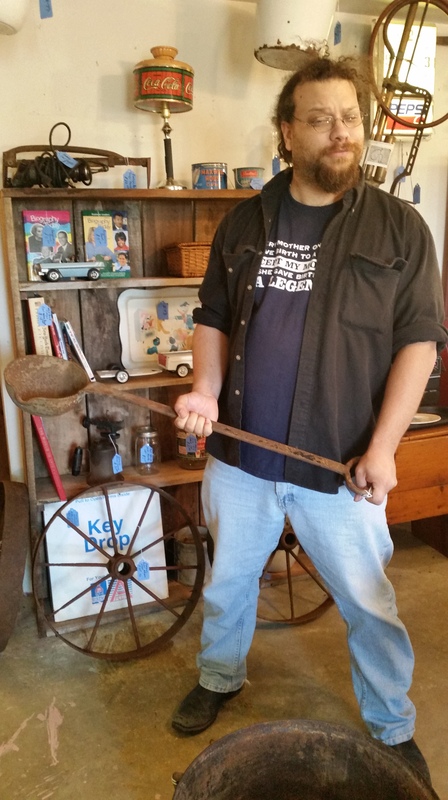 Nathaniel found the Ladle of War! Now we’re both madly getting ready for ren faire season to start. Products and booth and costume oh my!